This week our special of the week is the Avocado Dreamwich created by Chef Johnny Ramirez. 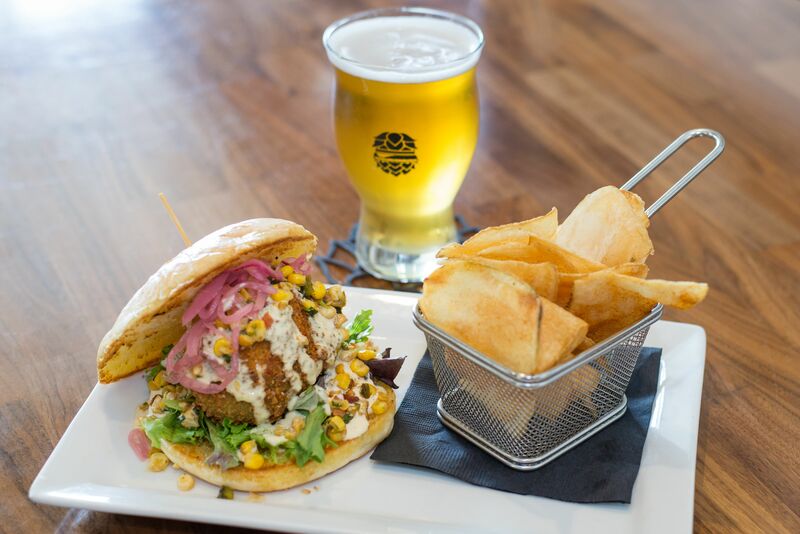 A panko crusted fried avocado stuffed with pimento cheese served on our Naegelin’s Bakery bun topped with corn salsa, spring mix, southwest ranch and pickled red onion. Served with a basket of fresh potato chips. We suggest paring this dreamwich with Real Ale Brewing Company‘s Wall Ball India Pale Lager. All you veggie besties, this one is for you!